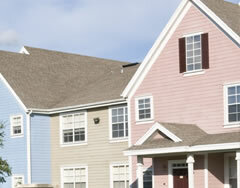 We are a Lansing roofing company that specialize in exterior design and color coordination. When it comes to roofing Lansing, MI residents turn to the experts at Hankins Homescapes for all of their roofing, window replacement and siding needs. 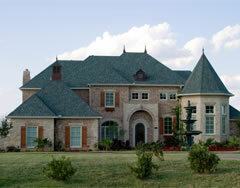 With over 20 years combined experience, Hankins Homescapes treats every project as if it were their own personal home. We offer our excellent history of a focus on customer service, superior workmanship and roofing contractors that will take care of you. 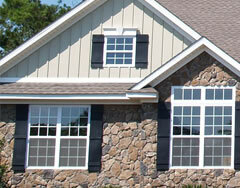 Whether it is a roof repair or replacement, window replacement or new siding installation, we’ve got you covered! This is a long overdue but much deserved THANK YOU! I meant to send you a note last spring when you finished siding our house because you did such an excellent job. As you know, I was very happy with how tidy the workers were during the process and Chip was thrilled with the complete and perfect coverage of the house. Your follow-through last week when Chip called about the loose facia was amazing. We certainly didn’t expect a workman to arrive the same day you got the message. Thanks for your qualility worksmanship, Roger. We’re happy to recommend you to anyone who will listen. Chip recently commented, “I just wish I had another house he could side! I checked out a few contractors. Homescapes was not the least expensive; however, I found Roger Hankins professionalism and straight to the point attitude and knowledge extremely refreshing. His crew was very courteous. They knew their respective jobs, and did not stand around loitering. Left their work area clean and organized. 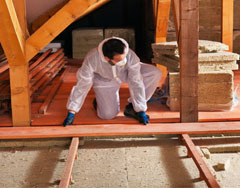 We provide top notch service, use the best products on the market, and include the best installation warranties available. We offer affordable prices - sometimes as much as 30% less than our competitors! 2015 Copyright Hankins Homescapes. All Rights Reserved.